An awesome Application Showcase WordPress theme for application developer to promote and describe the purpose of its related app! 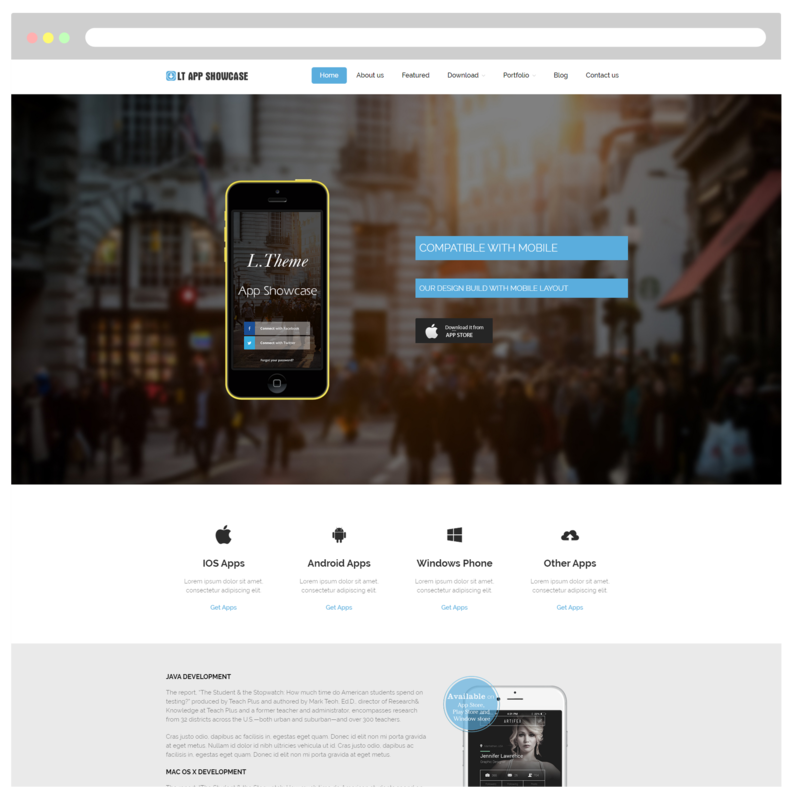 LT App Showcase Onepage is a free single page version of LT App Showcase WordPress Theme (multi-page). This theme will be a great choice for app developers to showcase their products and sell it online. With a clean interface with bright colors that make it very easy to create a professional landing page to promote your mobile app or other types of software. 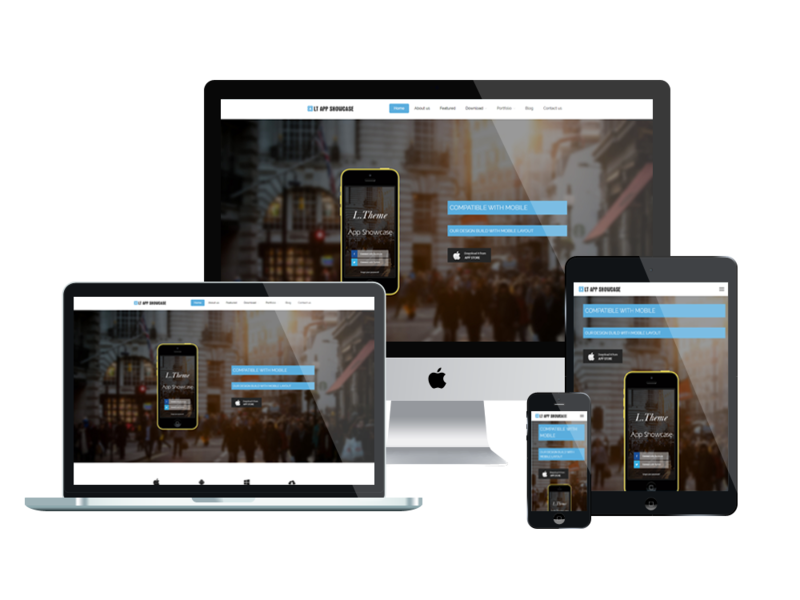 LT App Showcase provides 100% responsive layout on all kinds of mobile devices to display your site content in the best way. It builds from the powerful framework with fully bootstrap supporting strong shortcode, drag-drop layout content, Bootstrap CSS & Hybrid framework. 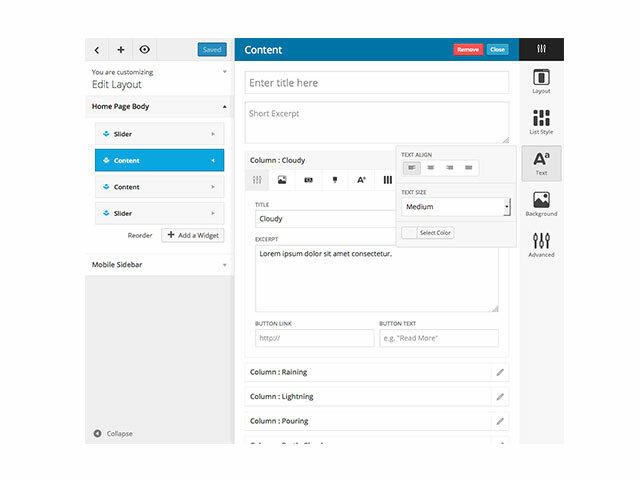 Besides, App Showcase WordPress theme also comes with unlimited color and a color picker in the admin panel. If you are Objective-C guru and created a bunch of applications, you definitely need a website to attract more buyers to your app store.